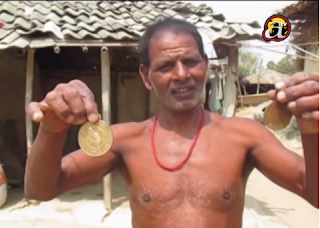 A once-upon-a-time gold medalist ( Janak Yadav) in wrestling, who now works in a riverbank in Siraha district. This FIFTY year former wrestler had Wwin the gold medal in the 7th South Asian Games held in 1995 in India in the 90-kg category. The video emphasizes on wrestler Janak Yadav from Siraha. Yadav was once identified as one of the players to make the country renowned to the world through wrestling. In 1995, the seventh South Asian Games, Yadav was successful to grab the golden medal for the country. But the same man who let the world know about Nepal is compelled to earn hid daily earning by working in pebbles and sand. His future is changed in such a way that he could not even send his children to school. plz watch this video.